Litigation is not always the best approach for our clients to take when dealing with difficult family matters, especially where maintaining a future relationship is important. For that reason, Lord Law Office, P.C. will always work with our clients to resolve any outstanding issues through the processes of negotiation and/or mediation. Mediation means a private, confidential, informal dispute resolution process in which an impartial and neutral third person, the mediator, assists disputing parties to resolve their differences. In the mediation process, decisionmaking authority remains with the parties and the mediator does not have authority to compel a resolution or to render a judgment on any issue. A mediator may encourage and assist the parties to reach their own mutually acceptable settlement by facilitating an exchange of information between the parties, helping to clarify issues and interests, ensuring that relevant information is brought forth, and assisting the parties to voluntarily resolve their dispute. While much of the statute’s definition gears the mediation process toward resolving disputes that have already arisen, there is no reason the process cannot be used prospectively to avoid dispute altogether. Simply put, mediation is a process wherein a neutral party, lacking decision-making power, facilitates communication promoting understanding and providing the parties with the best opportunity of reaching resolution or reconciliation. In this description the active verb describes the mediator as facilitating communication. 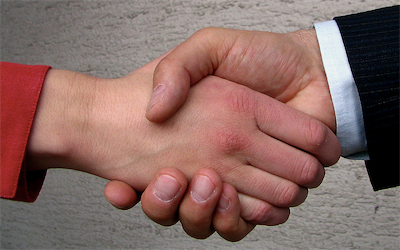 At Lord Law Office, P.C., our attorneys are also skilled mediators. Between them, they have facilitated resolutions in countless disputes over a variety of legal, social, and interpersonal issues, ranging from couples in the midst of divorce to landlord-tenant issues to employer-employee relations. We offer both settlement conferences (evaluative mediation) as well as facilitative mediations, depending on your needs. Call Lord Law Office, P.C. today for more information about mediation! Copyright 2018 Lord Law Office, P.C.